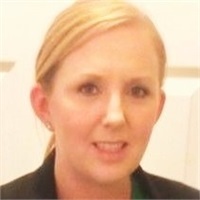 Stephanie Jackson | Executive Financial Group, Inc.
Stephanie is a lifelong resident of Bossier City, Louisiana. She graduated from Airline High School with several college credits and subsequently attended LSU Shreveport where she studied mathematics education. She and her family spent several years participating in ministry with Shreveport's homeless population. She has spent thirteen years working in the customer service industry with six of those years in management.